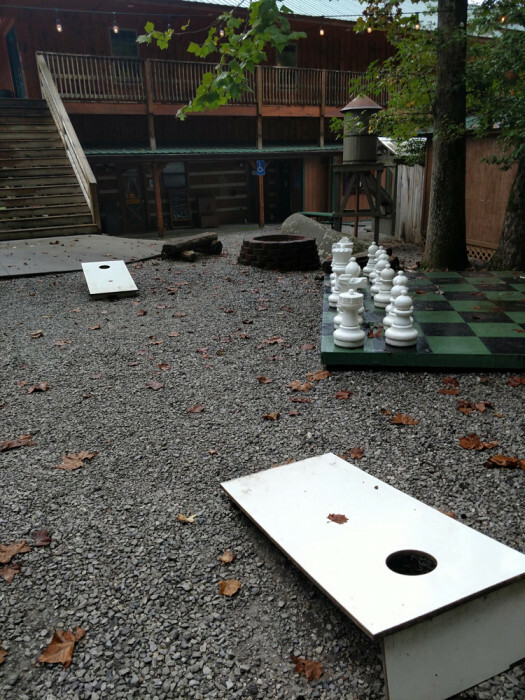 Ask fellow campers about "Imagination Mountain Camp-Resort (formerly Great Smoky Jellystone Camp" and nearby attractions. Beautiful campground in a natural mountain setting - trees, stream. Friendly staff, and excellent facilities. The pool has a great shallow area for younger children. The Bathrooms and showers were immaculate. 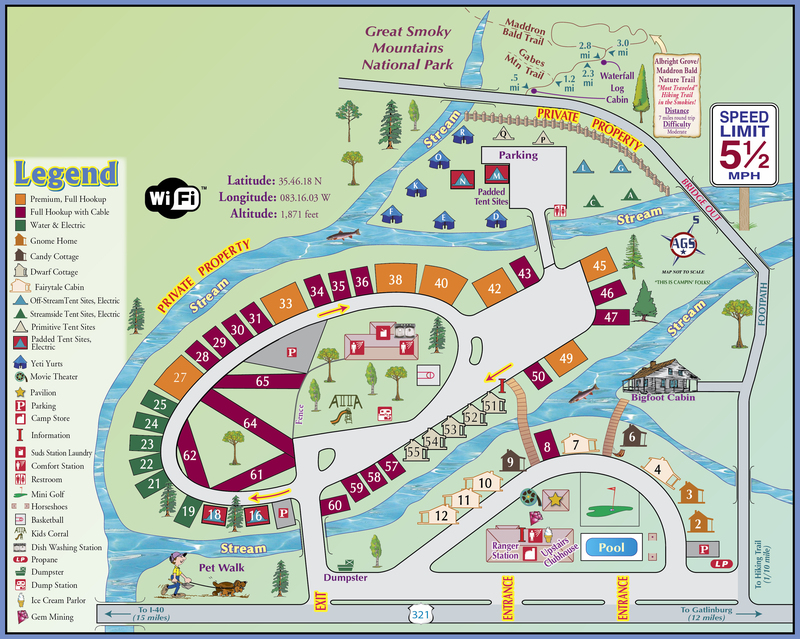 Convenient location to area attractions, and also plenty to do at campground for the stay in and relax days. Laundromat conveniently located on-site, also outdoor games, mini golf and inside arcade. We were there "off season" so campground very quiet and peaceful. Were there five nights - would have loved at least five more! We camped at Imagination Mountain Camp-Resort (formerly Great Smoky Jellystone Camp in a Travel Trailer. We took in a Tennessee Smokies Minor League baseball game - less than an hour away; enjoyed the Bush Museum and Café - about 30 min away, and very convenient to Gatlinburg and entrance to Great Smoky Mountains National Park. We pulled in and noticed everything is picturesque in a sort of magical forest sort of way. It's hard to describe because you just know something very unique is here. Check-in is easy and you are escorted to your site. 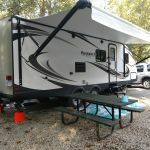 When I saw ours I looked at my hubby and I seriously couldn't believe we would be able to maneuver in our travel trailer. But one of the awesome staff members, assured us if we do everything he would tell us, it would be a piece of cake and they had done it hundreds of times. He said if we weren't happy though and wanted to leave, he would make it right. The place was so pretty and I remembered that camping is all about being resourceful and flexible and gave it a chance. These folks have amazing customer service and they are experts at guiding. Our site was awesome after we got situated and the staff member helped us get all hooked up. The fact that he stuck around and did all he could to help in a very busy time of year meant so much. These are very hard working people. The pool looked sparkling and lovely. Adjacent to it is a nine hole miniature golf which we played endlessly. Creeks and streams are prevalent and almost all of the sites back up to one. The entire campground is shaded but without low hanging limbs. The game room is very large and they have a movie night every night and other planned activities throughout the weekend. Awesome hiking trails are within a quick walk. We did get some delicious shakes at the ice cream parlor. Plan on booking months in advance. They have very loyal customers year after year. We are coming back in October and got our daughter and her family a weekend in one of the cabins for a birthday present. We camped at Imagination Mountain Camp-Resort (formerly Great Smoky Jellystone Camp in a Travel Trailer. If you're planning on going to Dollywood, ask for directions from the office. They know all the best routes to keep you out of the traffic. Can't say enough good things about Imagination Mountain or the staff. Our trip started with tow vehicle problems over off I-40. We called a tow truck and the campground both. The owner of the campground called me immediately and said to have them tow the truck and he was on the way to get the travel trailer. After getting there they helped us set up and for the rest of the week kept asking if we needed anything. Luckily we had another vehicle along for the trip but I have no doubt that the staff wouldn't have helped us if we hadn't. The campground is fairly flat with gravel roads which adds to the atmosphere. There are activities for children daily. The pool was clean and well kept as was all the other facilities. There is a bit of road noise but the babbling of the creek drowned out most of that. We will stay here again in the future! We did upgrade to the premium site which is basically two sites in one. We camped at Imagination Mountain Camp-Resort (formerly Great Smoky Jellystone Camp in a Travel Trailer. Awesome family running the show and a beautiful park. We camped at Imagination Mountain Camp-Resort (formerly Great Smoky Jellystone Camp in a Travel Trailer. Beautiful park with streams running through it next to Smoky Mountain NP! Flowering shrubs at each site, and I think every site backs up to a stream! We loved the little touches like flickering lanterns on the bridges and faces on the trees. Owners and staff were very friendly and helpful, quick to help and they guided us into our space. Lots of trees, so the help was appreciated! We enjoyed the game room and would have visited Hammock Hollow if it had been warmer. To hike the trail into the park, you need to cross 2 lengths of guardrail over the river. We camped at Imagination Mountain Camp-Resort (formerly Great Smoky Jellystone Camp in a Travel Trailer. Enjoy a meal at Magnolia Tree restaurant across the street. We were there Italian night and the Chicken Fettuccine Alfredo, with homemade sauce, was soooo good! Near the Cosby entrance to Smoky Mountain NP, about 30 mins from Gatlinberg, 45 mins from Sugarlands Visitor Center. The Gatlinberg Trail is one of 2 in the national park that allows dogs-follows the river up to the visitor center. Absolutely spectacular resort. Our site (most do) backed up to a stream. 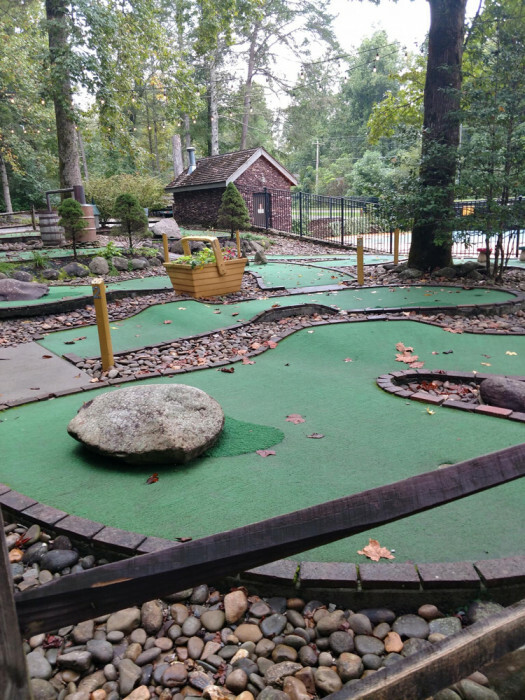 There is a lot for the kids to do including s game room karaoke, mini golf, and playground. It is expensive but we felt we got what we paid for. One of the best RV parks we've stayed in. The owner is great. The scenery is great. Can't say enough good things about this place. Already booked again for next fall. We camped at Imagination Mountain Camp-Resort (formerly Great Smoky Jellystone Camp in a Fifth Wheel. Try out the Magnolia Tree restaurant. It's a tenth of a mile from the resort. They have specials every day. We went a couple of times. Also, there is excellent hiking from the Cosby Campground. About 5 miles from the resort. Very clean and we'll kept. Owner amazing. Had a great time. We camped at Imagination Mountain Camp-Resort (formerly Great Smoky Jellystone Camp in a Travel Trailer. Close to Gatlinburg and The Bushes Backed Bean museum and restaurant. Lots of other fun stuff too. What a fun Halloween weekend filled with activities, costumes (both children and adults) and guests decorating their sites. This campground celebrates Halloween every weekend in October and first weekend in November. There is also trick or treating for the children. Campers treat the children if they choose to do so. Already made reservations for next year. That's how much we enjoyed it. 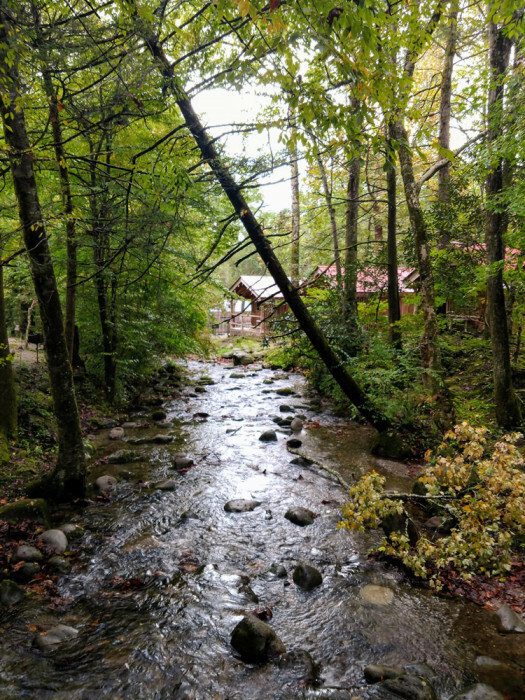 We camped at Imagination Mountain Camp-Resort (formerly Great Smoky Jellystone Camp in a Cabin. 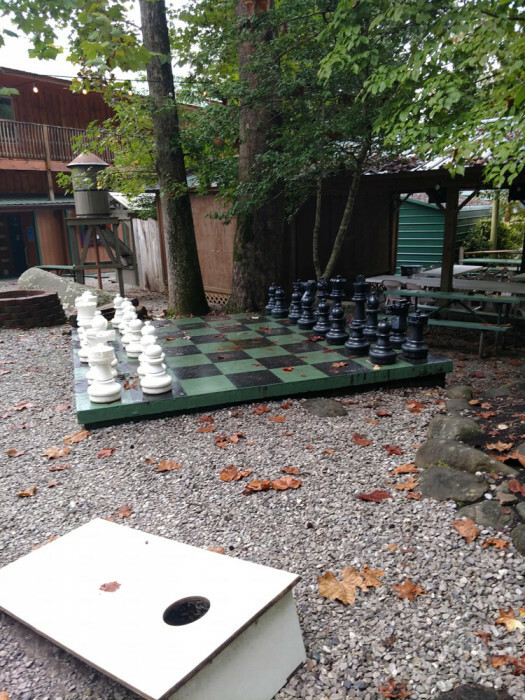 Close to Gatlinburg (about 15 to 20 miles) but there is so much to do at the campground most people do not leave. There is a hiking trail behind the campground in the Great Smoky National Park. We stayed in premium site 38. Backing into the site in our 41' motorhome was tight, but the help from the staff made it easier (departing early in the morning in the dark was a fun experience, but doable). 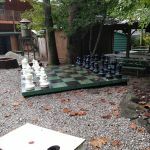 Our stay was very enjoyable as the park was not crowded so we could really enjoy the peace and quiet - hearing animals/birds and the flowing creek was nice. We also enjoyed being able to hike to trails in the Smoky Mountains National Park right from campground. The office staff was very friendly and helpful and the park was organized and clean. We camped at Imagination Mountain Camp-Resort (formerly Great Smoky Jellystone Camp in a Motorhome. 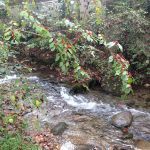 Gatlinburg and the national park are an easy drive from the park. Heading back toward Cosby there was a nice restaurant - Carver's Apple Orchard - about 10 minutes down the road. We took our family to the foothills of the Great Smokey Mtns. to experience what the south has to offer. The Imagination Mtn campground is unique in their offerings of campsites. From back-ins, pull throughs, cabins and even yurts. They have an awesome ice cream counter/soda shop and lots of family friendly amenities. My favorite part is the creek that runs through the campground. It was a great to listen to and fall asleep to. We unfortunately had mostly rain our week stay here so we could not enjoy everything. We did venture into the mountains and rode the river rapids, the alpine slides and watched bears. We had an issue with hornet bees in the campground near the creek. They nested in the ground so we didn't see them. They are very aggressive and will chase you. My daughter had no less than 6 stings at one time. She was miserable and the stings were large enough to draw blood. The management came out and attempted to remedy them. There are a blue zillion campgrounds in the area. We really liked how quaint this campground was and would consider returning in the future. We camped at Imagination Mountain Camp-Resort (formerly Great Smoky Jellystone Camp in a Fifth Wheel. Lots to do in the area. Gatlinburg, Pigeon Forge, Smokey Mtns, White Water Rafting, Go-Carting, Alpine slides, great food, amusement parks and so much more. Also, the Biltmore Estate in Asheville, NC is only an hour away. Great day trip. What a delightful place but not for the faint of heart if you have a really big rig. Be sure to follow the driving directions from the website so you will miss all the congestion in Gatlinburg. There are several places for big rigs and the owner is an expert in getting you maneuvered into your spot. Once you are in you can hear the water from two creeks and the wind through the many trees on the property. Great cable TV and Internet. We will come again. 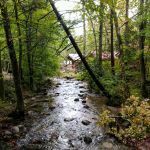 We camped at Imagination Mountain Camp-Resort (formerly Great Smoky Jellystone Camp in a Fifth Wheel. Be sure to go to apple house restaurant in the Carver Orchard, wonderful home cooking and loads of Apple related food in the barn. 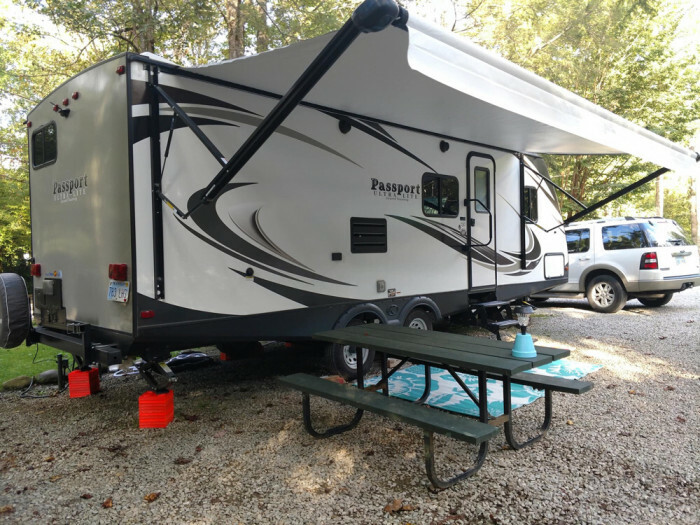 We camped here for a week while we visited the Gatlinburg/Pigeon Forge area. The owners were very personable, helpful, and friendly. It is very clean and well maintained. We had a stream-side site which we loved. There was a movie every night for the kids, small ice cream parlor, game room, and store with some basics. As stated, it is about 15 miles from downtown Gatlinburg, but we knew that when we booked and were happy with that. It's close to zip lining and white water rafting. We would definitely stay here again. We camped at Imagination Mountain Camp-Resort (formerly Great Smoky Jellystone Camp in a Travel Trailer. 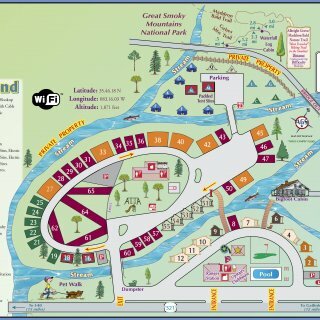 Excellent family campground. It would have received 10 stars if it wasn't 30 minutes from the entrance to the Smokies. The campground is crushed gravel which seemed odd until a couple of days into our week long stay and I realized that our camper was the cleanest it had ever been, no dirt, no sand. Fantastic. The stream side site was wonderful. Owners were very friendly and helpful, gave us a menu when we wanted to order out pizza. The playground is great and with the campground being on the small side, it was easy to get to the laundry room (which had plenty of washers/dryers). 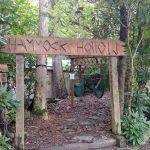 They do advertise that you can hike into the Smokies from the campground, but this is quite misleading; it isn't as easy as it seems and is nearly impossible for anyone under age 10 because the bridge is out and you have to rock hop. We camped at Imagination Mountain Camp-Resort (formerly Great Smoky Jellystone Camp in a Travel Trailer. A beautiful campground that is meticulously maintained--best I have visited so far! The crushed gravel pads are pretty level and most sites are adjacent to a stream. The stream adds an element of beauty and a sense of serenity as you listen to the water rushing over the rocks. Our stone fire pit was placed nicely so we could sit around the fire while also watching the stream. Mature trees provided nice shade and the sites don't feel too close together. Owners work very hard to ensure your stay is fantastic. The high cost of our stay was due in part to "leaf peeping season" and the holiday weekend. The kids had a blast seeing the Halloween decorations and trick or treating in the campground. So if you visit on an October weekend be sure to bring candy to hand out. 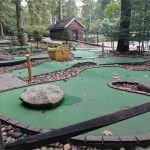 It's also close enough to visit the attractions in Gatlinburg/Pigeon Forge, but far enough away to avoid the traffic and crowds associated with those cities. We camped at Imagination Mountain Camp-Resort (formerly Great Smoky Jellystone Camp in a Motorhome. 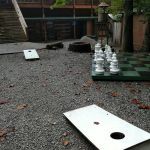 Are you affiliated with Imagination Mountain Camp-Resort (formerly Great Smoky Jellystone Camp ?